This year, we celebrate 100 years of powered flight since the Wright Brothers made their historic flight back in 1903. Microsoft is celebrating too with the soon to be released Flight Simulator 2004: A Century of Flight. In fact, this is also Microsoft’s 20th anniversary of their well-known flight simulation franchise. So, what’s new in A Century of Flight (CoF)? Although there are a number of new features and improvements, in this preview I’ll focus on some of the major ones and list the others at the end. Also, I want to point out that since this is a preview based on a pre-release beta copy of CoF, major changes could occur by the time the product is released. As a result, you may want to wait for a review of the final version of CoFbefore deciding if it’s for you. First, there are a number of new aircraft. Of course, since this version celebrates a hundred years of powered aircraft, it has to include some historic ones. Among the nine history-setting planes are Orville and Wilbur Wright’s 1903 Wright Flyer, the Ryan NYP “Spirit of St. Louis” which Charles Lindburg flew solo across the Atlantic Ocean, non-stop in 1927, and the Douglas DC-3, a legendary passenger plane and workhorse of the industry. In addition, many modern planes such as the Boeing 737, 747 and 777 are included. For the rotorheads among us, CoF now includes a piston-powered helicopter, the famous Robinson R-22, in addition to the turbine-powered Bell 206B JetRanger III. All of these aircraft appear in varying amounts of detail but all have been improved over the previous version of Flight Simulator. 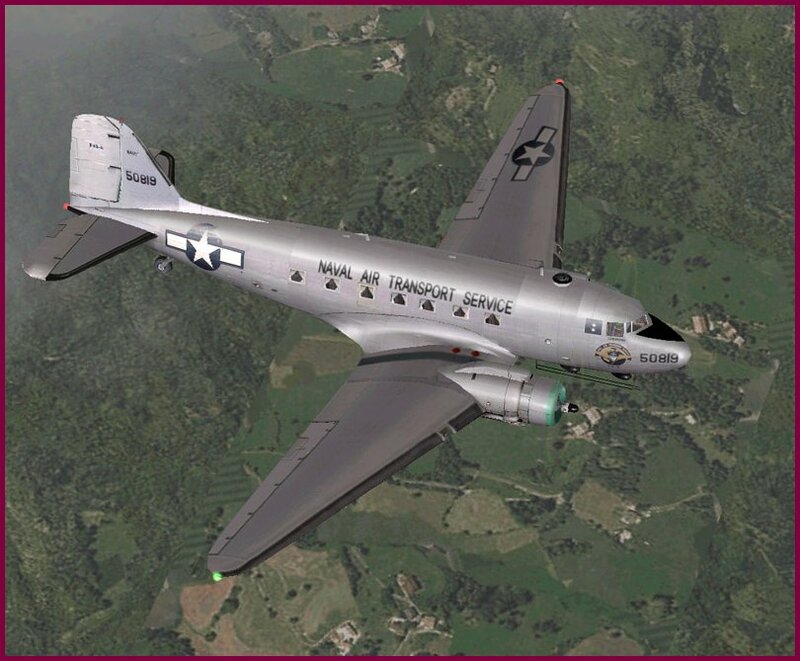 Flight Simulator has always provided a flat area of the screen on which is placed all the gauges, instruments, switches and other things to control the aircraft, tune radios, etc. Known as the 2D cockpit, this metaphor continues to be used to this day. Flight Simulator 2002 (FS2002) introduced the concept of the virtual or 3D cockpit. Unlike the 2D cockpit, the 3D cockpit gives you the sense of being in the aircraft since you can see all around the cockpit in addition to the instruments. 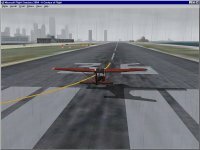 What was lacking in FS2002, however, was the ability to touch the controls–a major limitation. In FS2002, all you could do was look at things in the virtual cockpit. To change anything, you had to switch back to the 2D cockpit or pop up a 2D panel window. Now, in CoF, radios and key aircraft controls in the virtual cockpit are interactive. Need to change the COM1 frequency? Simply move the mouse over it and click or spin the mouse wheel. Want to put the landing gear down? Click on the gear lever. One of the most significant additions to CoF is the weather system. Fans of Looking Glass’ Flight Unlimited, like me, have always had dynamic weather. 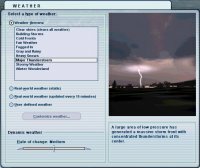 Until now, getting varying weather conditions in Flight Simulator required downloading weather updates over the Internet via the built-in “Real Weather” system or with a third-party weather tool. In CoF, the weather is finally able to change on its own over time through the use of realistic atmospheric physics and 3D clouds. No more white cardboard cutouts to fly through. Rather, clouds form and dissipate and even move across the sky, just like in real life. Choosing the weather you want to fly in can be accomplished in several ways. 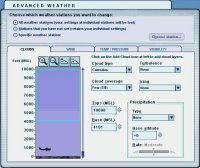 If you have an Internet connection, you can download actual weather data, just like in FS2002. However, you have a choice of whether to use the data statically or to continually update it by downloading new data every 15 minutes. To make use of the new weather system, you can simply select from one of several weather themes. Themes are pre-defined weather scenarios such as “Fair Weather”, “Major Thunderstorm” and “Winter Wonderland”. If you really want to get specific, you can customize the weather. 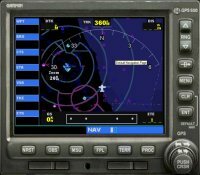 As with FS2002, you can set parameters such as cloud types and layers, wind layers and speeds, visibility, temperature, and pressure. 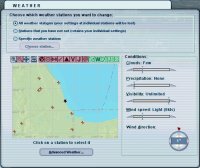 In addition, you can specify weather parameters for the entire world as a whole, a group of weather stations, or even just a single weather station. Being able to create such micro-climates you can customize the weather along your entire route from departure to arrival. Unfortunately, although the weather map indicates the location of fronts when using real-world downloaded weather, there doesn’t seem to be a way to specify the location of a storm front for custom weather. Perhaps fronts are taken into account based on the pressure, tempurature and wind direction between areas you customize but it wasn’t apparent and the online help didn’t mention anything about creating or placing fronts. There are some other very welcome improvements to the sky in general. No longer is the color of the sky the same color of blue all the time. Gradient variations in color, especially at sunset, truly add realism to the world. Also, rain no longer appears to be coming from a sprinkler head placed just above the aircraft. Even when viewed from outside at a very wide angle, the rain appears to be all around. Some of the weather effects such as rain running across the windscreen looked peculiar but I’ll reserve final judgement until I see the final version. With a total of approximately 24,000 airports in CoF, up from 22,000 in FS2002, getting around can be a daunting task. To help, CoF includes the Garmin 295 and 500 series GPS with color moving maps and airport facility information. Even the regular map view in CoF is now in full color with terrain information. No more getting lost from trying to decipher the primitive black and white lines used in FS2002. Once you reach your destination, you’ll find that airports finally have taxiway signs. I’ve been used to seeing signs in Looking Glass’ Flight Unlimited since the 1990’s so it’s about time they arrived in Flight Simulator. Now, when the ground controller tells you to go to taxiway alpha, you’ll know when you get there. The taxiway markings themselves have also been improved over FS2002 to make them easier to navigate as well as look better. 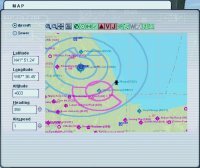 Speaking of air traffic control, it has been enhanced with features such as the ability to change altitude en route, pop-up IFR clearances, and precision and non-precision approaches to multiple runways. Although FS2002 had AI traffic to populate airports with moving planes, it was quite limited. In CoF, more airports around the world have AI traffic so you won’t feel so alone when flying off-line. 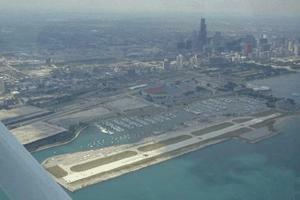 In addition, even non-towered airports can have computer-controlled planes coming and going. Flying with computer-controlled planes is okay but it simply doesn’t compare to flying with your friends online. CoF’s multiplayer system enables you to share the skies with other CoF pilots over the Internet. Connections can be made via Microsoft’s The Zone service or directly via TCP/IP. I wasn’t able to try out the multiplayer functionality but I did notice that CoF uses different ports than FS2002. So, it appears that the two versions may not be able to coexist in the same session. Does that mean that CoF’s multiplayer has been improved? I don’t know at this point but I certainly hope so. Since this is a preview of a beta version, I won’t say much about performance since a lot can change by the final version. However, I do want to point out that this version of CoF runs as smooth as silk and loads faster than FS2002. Frame rates depend on how advanced your video card is and how much eye candy you turn on. If you want the new 3D clouds, you should have a reasonable video card (e.g. GeForce 3 or Radeon 8500). Fortunately, you can use simplified clouds to run CoF pretty much the way FS2002 currently runs. All in all, CoF looks promising in the performance department. 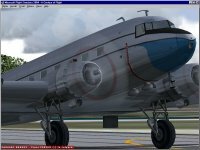 Okay, so you like what you see so far but if you’re a veteran of Flight Simulator, there’s no doubt that you have a lot of third-party planes and scenery. What’s going to happen to them if you upgrade to CoF? So far, it looks like pretty good news on the compatibility front. Aircraft and scenery for FS2000 and FS2002 that were made according to the Flight Simulator SDKs seem to work fine in CoF including aircraft created with FS Design Studio. Microsoft states that as long as the SDKs were followed, all should be well. 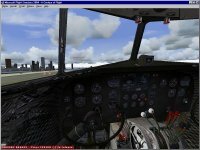 In fact, I was able to click on things in the virtual cockpit of an aircraft that was made for FS2002. Of course, any add-ons that were made using internal hacks or other special features of previous versions of Flight Simulator may or may not work in CoF. However, since many companies that make these kinds of add-ons have already been working with CoF, there’s a good chance that they’ll find a way to make it work. Well, of course everything could change by the time the product is finished. But from what I’ve seen so far, if you’ve never used Flight Simulator before, “A Century of Flight” is a beautiful flight sim and I would recommend it. If you have Flight Simulator 2000 or earlier and you have a system that can run CoF, you should definitely upgrade. FS2000 users will certainly have a smoother flight with CoF. If you’re currently using Flight Simulator 2002, it’s a toss up at this point. With the many third-party add-ons for FS2002, it does the job quite well despite the new features in CoF. I want to see how the final version measures up.